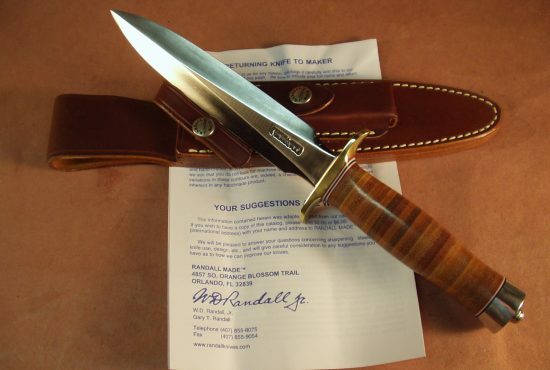 Pictured is the last custom knife series designed by Tom Clinton and produced by Randall Knives. 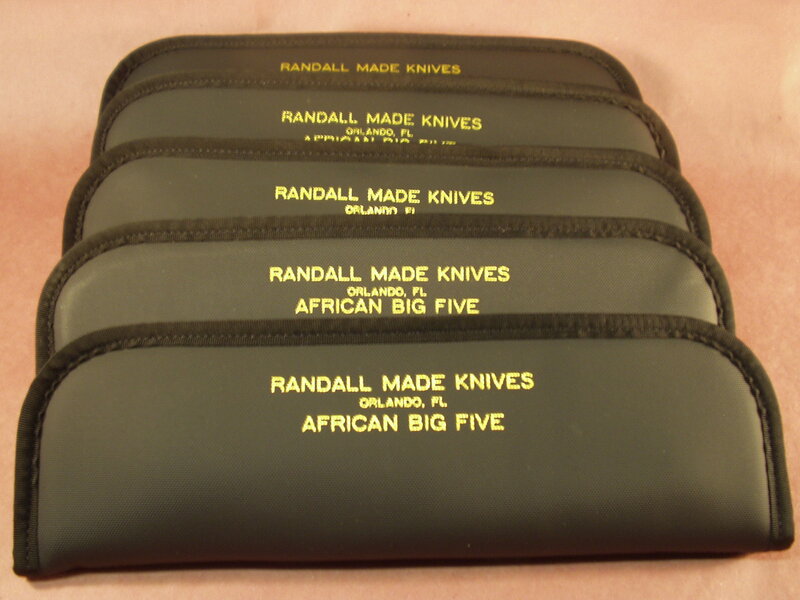 The Big African Five Series knife set consisted of the following models – ( #26/6 with Buffalo Leather Sheath, #25/5 with Crocodile Leather Sheath, #2/7 with Ostrich Leather Sheath, #3/5 with Crocodile Leather Sheath, and a #23 with Zebra Leather Sheath ) Each African Five Series knife Micarta handles are scrimshawed by Ron Skagges, This series set is number #72/100. 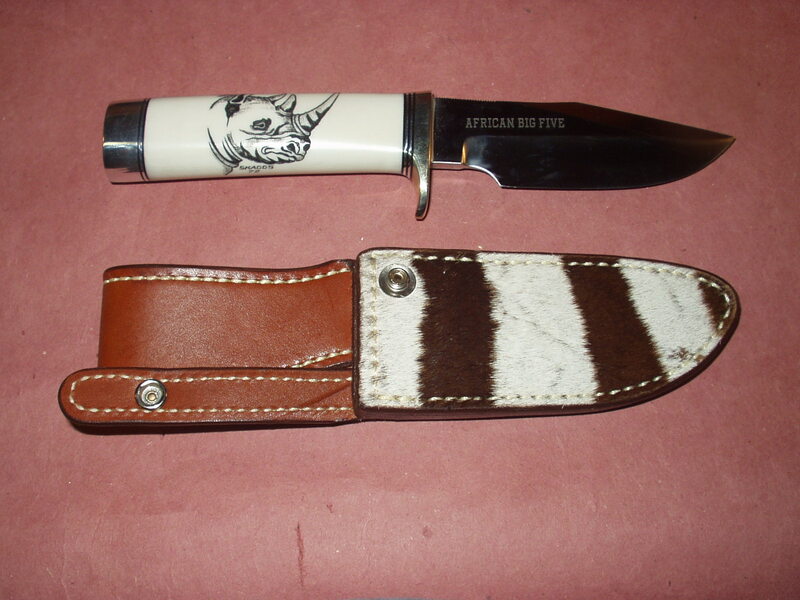 The Big 5 features scrimshawed Elephant, Lion, Cape Buffalo, Rhino, & Leopard. 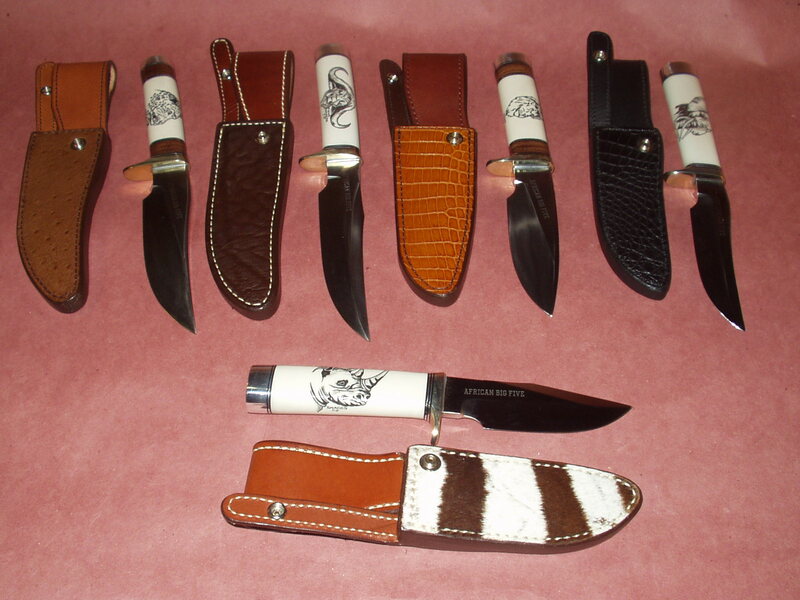 The set features all Stainless Steel Blades. 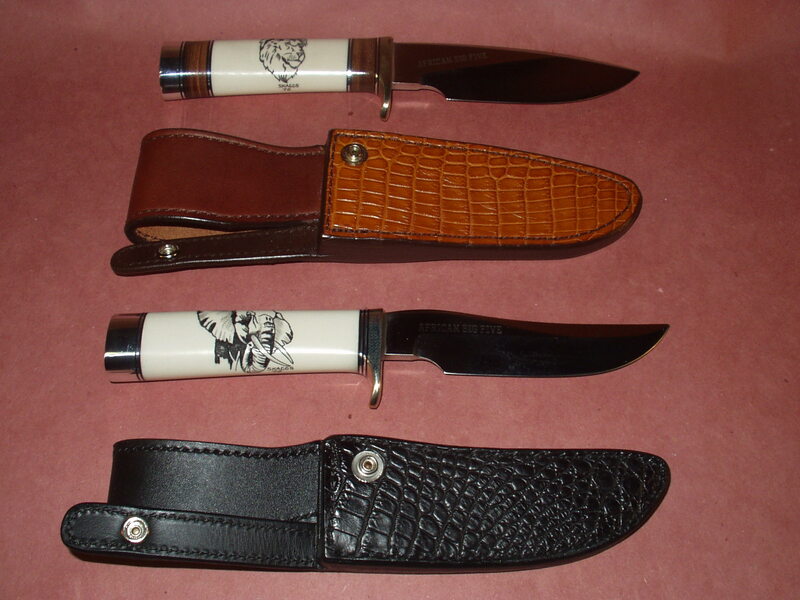 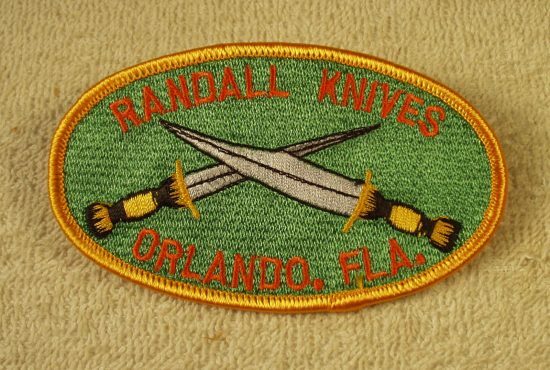 The set is in MINT condition, knifes were never inserted into the sheaths. 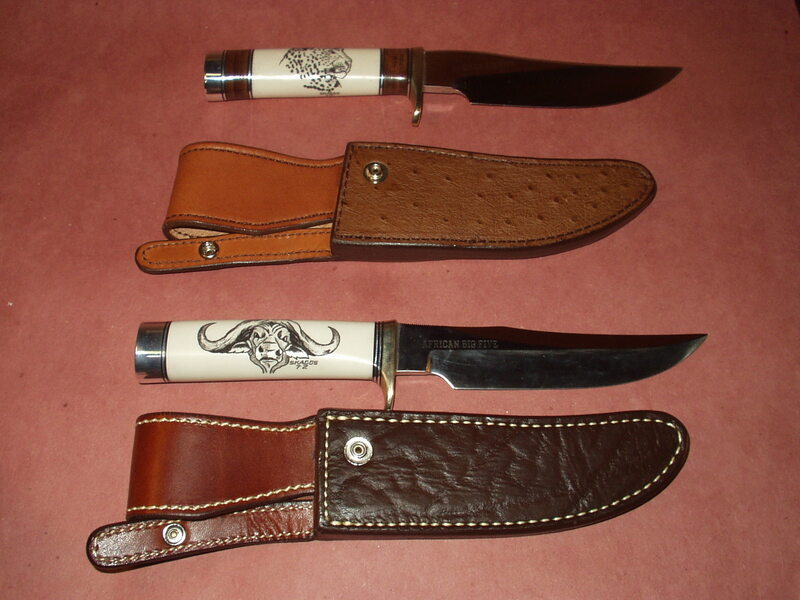 Sheaths have been stored separately from the knives to ensure they remain in perfect condition and as issued. 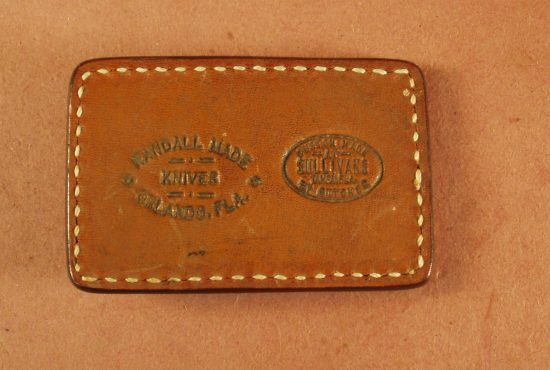 Knife have also been stored in a climate controlled location and in the original provide knife pouch. 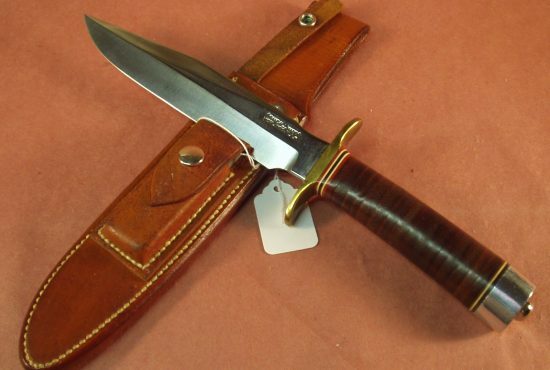 Great Investment in the last custom knife designed by Tom Clinton and make by Randall Knives, we believe this is the only custom multi-knife set made by Randall Knives.